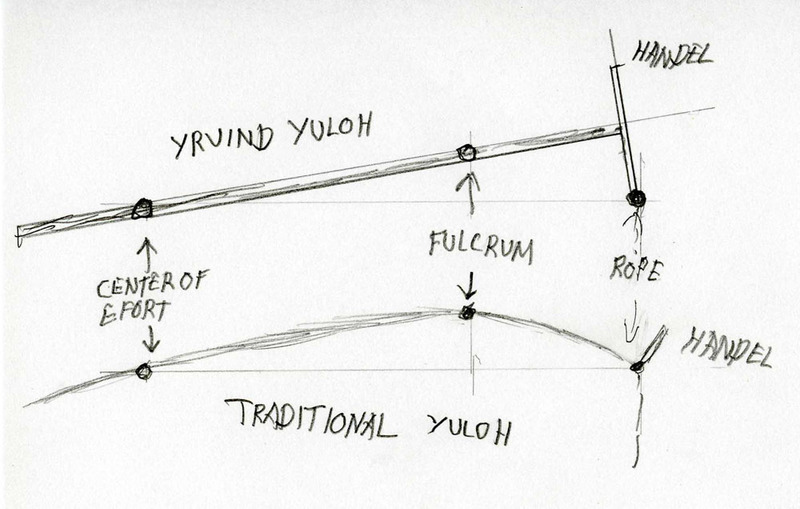 The picture below shows the essential yuloh geometry. There are three points of importance. The centre of effort or pressure on the oarblade. The fulcrum and the point were the rope is attached. If you draw a straight line betwwen the centre of effort and the point were the rope is attached the fulcrum shall be a inch or two above that line to keep the thing in balance. Exactly how much is depends on personal preference. The curvature of the traditional yuloh fixes these three points. On my boat it is not possible to have a curved yuloh as I will store part of my yuloh belov the fore deck in a carbon fibre tube. My yuloh is therefore straight. To get the essential geometry I have added a removable piece at right angle to the shaft. At the end of that is the attachment point. By varying the length I can adjust the balance. That solves the problem of stowing the oar. It is also very convenient because I can use a straight pipe as oar shaft. An other thing. Some people like to have the rope doing the twisting of the oar blade at each stroke. I do not agree, neither do the Japanese scullers. They have a technique that differs from the. 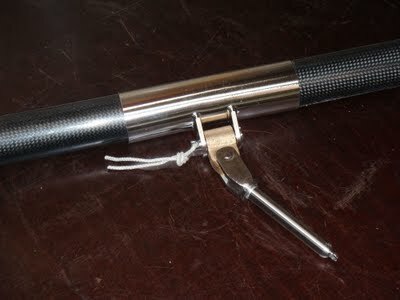 They have a small handle at right angle to the oar shaft a bit like wrench to twist the blade to the desired angle. 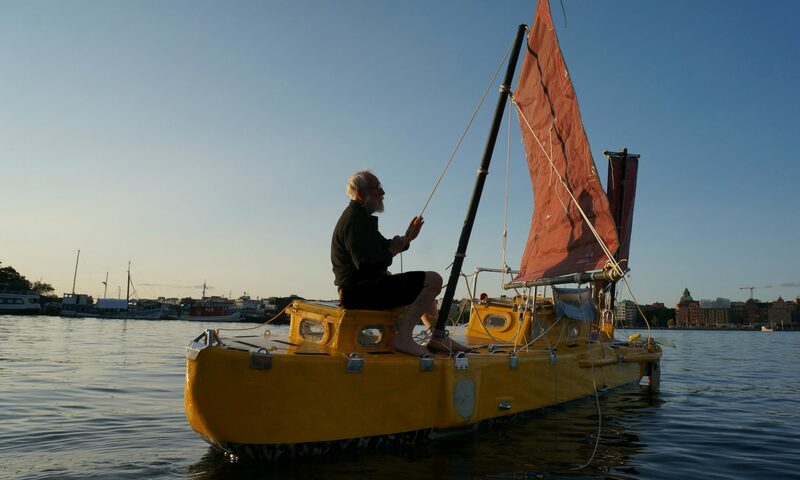 In that way you have control and can use the oar blade as an variable pitch propeller. Going against strong winds you use little twist and get much power but the boat mows slow. In calm weather you use much twist and the boat goes faster. The yuloh traditionally uses a ball and socket at the fulcrum. It is simple to make but a universal joint like mine shown below has several advantages. As a yuloh replaces an engine and I use it a lot I do think it is worth to spend time and money on a better fitting. First the oar cannot jump out of the socket. Second it enables one to scull in reverse and row the stern around. This is very convenient when one maneuvers in tight places. And I do like to get into tricky places to discover interesting things.